As a business owner, blogger, or internet marketer, you have three main choices. The choice depends largely on how much you’re willing to spend, your existing skillset and the time you have on your hands, and whether you need to be able to make changes to your website easily. 1 What is a Content Management System? 6 What are the Top Open-Source CMS’? 7 What are the Top Closed-Source CMS’? A CMS is a web-based program that allows website owners or administrators to create content, edit it, make it publicly visible, and archive it without the need to know any coding or development skills whatsoever. The name “content management system” describes these applications perfectly. As an admin, you can publish any type of content: text, audio, graphics, or video. Some content management systems even provide further capability out-of-the-box, so to speak. They allow for more advanced things like e-commerce, contact forms, convenient search engine optimization (SEO), statistical analyzation, and freeform or scheduled collaboration without having to install anything extra. However, most content management systems provide this functionality through what is known as a “plugin.” These are easily installable programs that enhance your CMS and provide additional features. 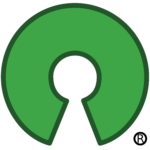 When an application is open-source, it means that anyone can help build, edit it, and make changes. No one can claim ownership to the program, and everyone can use it freely. Most importantly, it encourages further development by allowing anyone, anywhere in the world, to download the source code and modify it. This results in a community of contributors that enhance the CMS by developing their own mods and plugins. 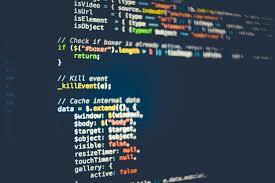 The source code typically doesn’t cost anything, and it works with many different systems, hosts, and internet service providers. 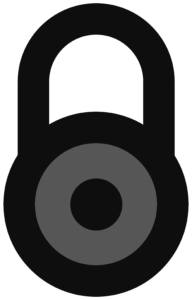 If a program or section of code is closed-source, it means that it is kept secure and possibly even encrypted. Outside access is not permitted, so no one can copy or modify it in any way. The program or app is the intellectual or real property, of the owner. Legal repercussions can occur if anyone attempts to use it. Closed-source CMS’ are made specifically by a web developer or team for one website. The benefits of an open-source CMS differ depending on whether the user is a professional level developer or someone who wants to build their own website with limited technical knowledge. For someone who is a skilled developer, they can use open-source code to create unique solutions for themselves or clients by tweaking what exists or creating something new. For someone who doesn’t have this experience, they can create a site or blog easily, with little trouble or expense. With a wealth of mods or plugins available, open-source CMS’ offer a unique advantage. They are usually free and quite popular, which means there is plenty of support available as well. The disadvantages of an open-source CMS come into play when a business needs greater options for uniqueness or direct support. Templates are okay for some, but a highly professional site often needs a better design than what a free theme can provide. In this case, you would have to hire help or continue trying different themes. Direct support generally doesn’t exist with an open-source system, although there are plenty of forums and guides that can be helpful if you encounter a problem. Issues can also arise from conflicting plugins and bad updates so you have to be careful whenever you update or install something new on your site. The advantages of a closed-source CMS include a managed system with a smaller learning curve and a lot less work as a website owner. If the company or team who develops the closed-source CMS are knowledgeable, experienced, and trustworthy, having a bespoke program running your site is an excellent idea. They handle everything on the backend and leave you free to build great content. There’s less intensive learning and it’s a hands-off approach because someone else is always handling the technical details. The arguments against a closed-source CMS pertain mainly to whether the developer will last, and what types of features you receive for the price. With open-source CMS’ offering so much free of cost, there has to be an advantage to choosing a closed-source provider. What if the system isn’t successful and closes down? The developer may close shop or stop supporting the program. If this happens, it means your website becomes obsolete because it’s no longer supported through updates. The latest optimization practices to help it rank high in search engines, or work on mobile devices for example, won’t be implemented or updated. Having to hire someone for updates and future development would likely be a major issue. If it’s too expensive or bug-prone, it could lead to transitioning the site to an open-source platform instead. While the chances of this happening are lower when you use a trusted provider, it’s always a possibility. What are the Top Open-Source CMS’? CMS top lists vary depending on the source and how the data was compiled. Is the “best” CMS based on how many people use it, security reports, flexibility, or price? When looked at multiple ones from a broad perspective, the following five can claim our top recommendations. WordPress – The WP content management system will not be toppled from its top spot any time soon. An astonishing 60% of sites that use a CMS use WordPress. They offer a free blogging platform that’s self-hosted (.org) and a powerful, SEO-friendly full site package (.com) with tons of plugins and possibilities. Joomla – The second most popular open-source CMS in the world is Joomla. Linux and Harvard University use this program. It is considered highly reliable and has virtually endless customization options. Drupal – Sites as famous as General Electric and Time Warner use Drupal to power their content. Instead of being basic point-and-click, this CMS does recommend some CSS, HTML and even PHP knowledge. It is free, highly customizable, and loads exceptionally fast depending on included content. Magento – This very popular CMS focuses more on being a top e-commerce solution for companies who wish to sell tangible or virtual goods online. It works well at any size from small “Mom & Pop” online shops to retail powerhouses like Coca-Cola. PrestaShop – Another e-commerce management system that is free, reliable, and easy to customize, even for beginners. Over 270,000 currently use this popular open-source shopping CMS. What are the Top Closed-Source CMS’? While many businesses and organizations choose to have their closed-source content management systems developed specifically for them, these do not fit on a top list because no one else can use them. The following selection includes popular programs available to the public for various purposes. Shopify — This closed CMS is specifically designed for e-commerce product sales. Unlike some wholesale or retail engines like WooCommerce, everything is contained within the one package. Your store is hosted there and controlled only through the admin section. Some customization options are available for percent-based transaction fees. Blogger – Although built specifically for blogging, it is possible to have static pages as well with Google’s answer to a closed-source CMS platform. It is second only to WordPress for posting blogs, is simple to use, but does not offer many customization options. Sharepoint – This powerful content management system operates on Microsoft.net framework. It is also used as an intranet for businesses, teams, and organizations. It offers a clean and accessible flow of content and communication between people, flexibility to suit many applications, and customization options. Squarespace – While Squarespace exists on about 1 million websites, it is popular among individuals and small companies that want a website quickly without much hassle. This tool offers full hosting, sub-domains, and website creation in a self-contained package. It has 25 designs available and the cost is comparable to other services. In the quest to discover the best content management system for you or your company, both open and closed-source programs deserve a look. While the popular choices like WordPress for websites and blogs or Shopify for e-commerce makes sense for many, they may not be the right choice for your needs. Take into consideration flexibility, security, support, and cost. Learn the pros and cons of open-source vs. closed-source and how each CMS operates before deciding.